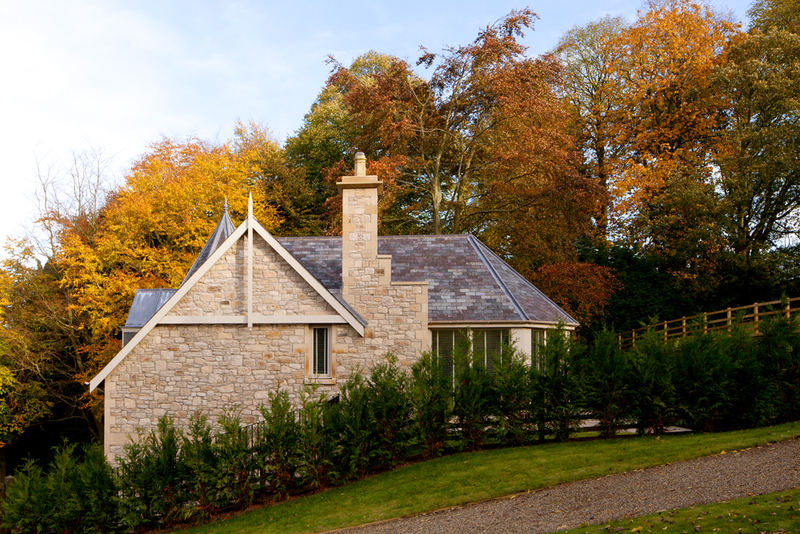 Our client owned a large detached Victorian family house which sits within a 1.15 hectare site to the south of Corbridge. 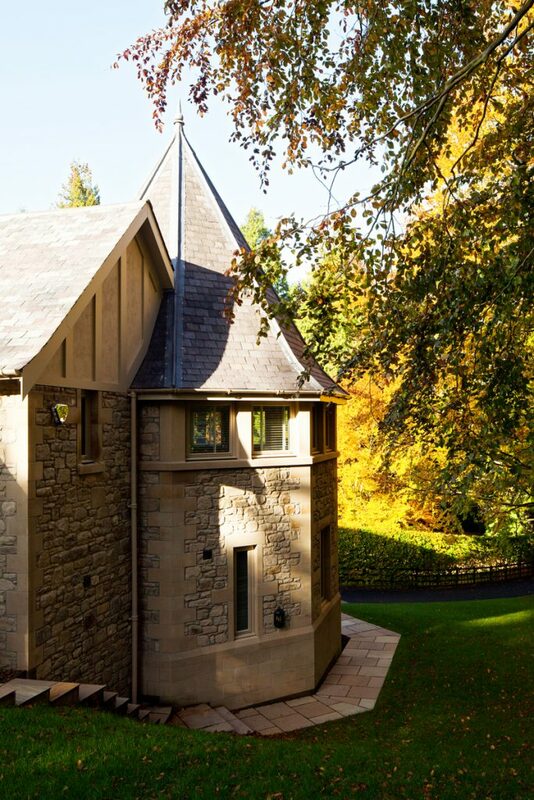 This imposing property had an adjacent stable block which had been previously converted to residential use but dominated certain aspects of the main house. 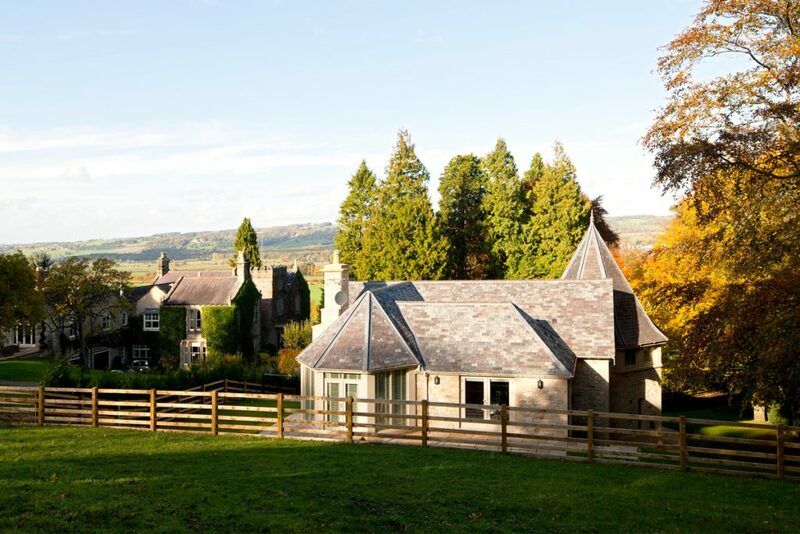 The brief from the owner was therefore to demolish the stable block and replace this with an additional property within the grounds to form a self contained and independent home. 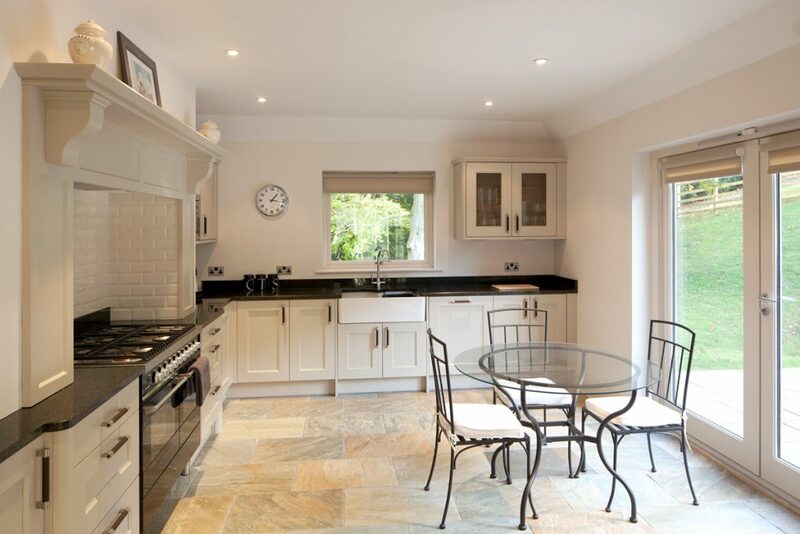 The answer to the challenge has resulted in a new three bedroom detached home, Dovecote Cottage, set away from the main house and which reflects the design of an existing nearby Victorian Listed hexagonal dovecote. 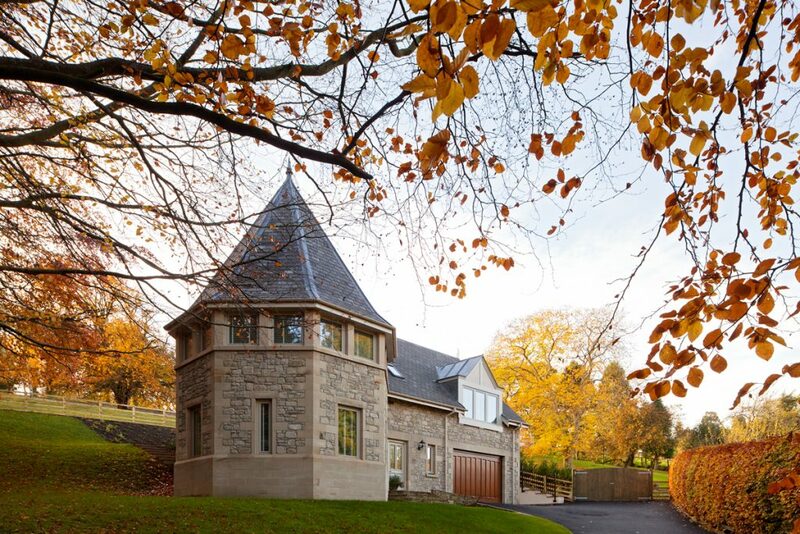 The two storey dwelling is cut into the sloping landscape with a lower ground floor containing an integral garage, storage, entrance hall and a bedroom with en-suite facilities. 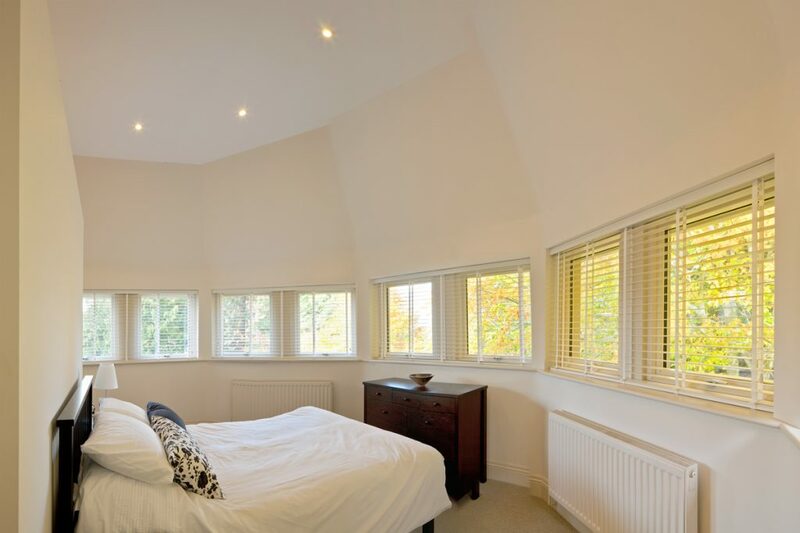 The bedroom is contained within the base of an octagonal tower reflective of the geometry of the dovecote. 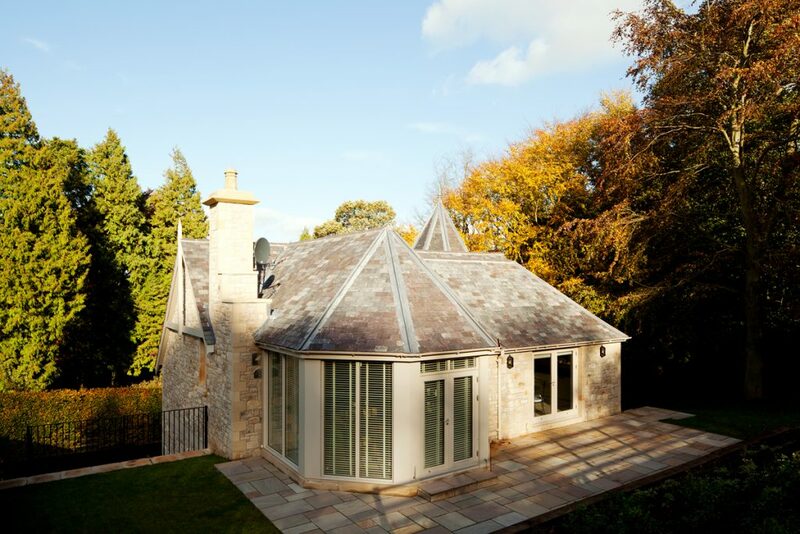 The upper ground floor contains a large open plan living/dining room, two additional bedrooms with the master bedroom in the upper part of the tower and the kitchen with French windows onto the southerly private garden.